Ofsted will soon focus on providers’ “integrity” during inspections, but its chief inspector has said she cannot turn the education watchdog into a police force. 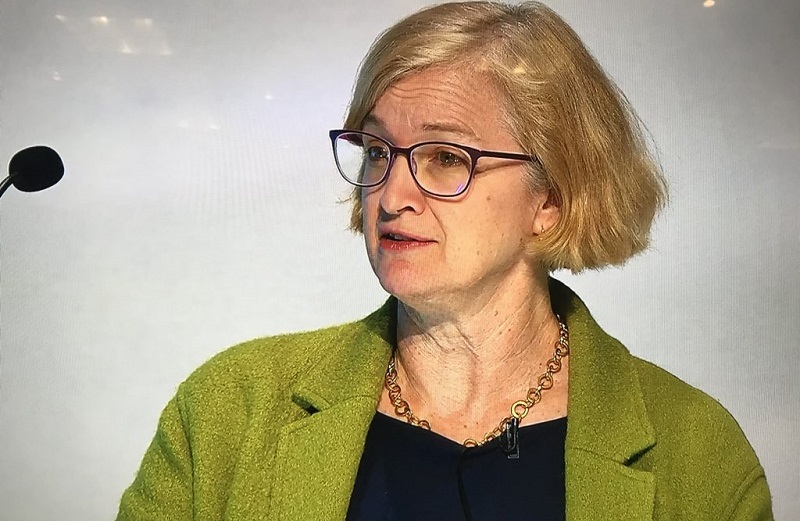 In a speech to launch a consultation on the new inspection process, Amanda Spielman said: “Two words that sum up my ambition for the framework and which underlie everything we have published today: substance and integrity. “One thing I hope will flow from this new approach is that integrity will be properly rewarded. “I know how easy it is to let drift happen, because of the pressures of making the numbers add up, or because someone down the road is doing it and you think that you or your students will suffer unless you do the same. “That’s not your fault; it’s human nature. Ofsted’s new focus on integrity means inspectors will challenge providers if they find evidence of practices such as enrolling students with funding and high achievement rates as a motivation ahead of which course is best for the learner. Ms Spielman said: “We’ve seen some young people kept on level 2 study courses, when they could and should have been progressing. Providers were also criticised for being funded for apprentices “whether or not they are really learning anything”. “All of these practices need to be discouraged, and inspection has a valuable role to play in doing so,” she said. After her speech, Ms Spielman told FE Week: “I can’t turn Ofsted into a police force, I’m not resourced and I don’t have the skills; and I do not think it will be a helpful thing to turn Ofsted into an investigation service, turning up to try and find any possible way integrity has been damaged. “I’m about trying to create the right incentives and the right conversation. She would not be drawn on how big the problem is in the FE sector. This is not the first time Ofsted has shown an interest in potential gaming of data, funding and the integrity of the sector. In 2009, Geoff Russell, the then-chief executive of the Learning and Skills Council – the predecessor organisation to the Skills Funding Agency – sent a letter to college principals after finding data mismanagement. This followed “desk-based analysis and fact-finding reviews” by the LSC, Ofsted, the Data Service and the information authority looking into “suggestions that data manipulation goes beyond routine data cleansing to improve the accuracy of the data”. Mr Russell’s letter read: “Colleges adopt various approaches to the completion of the Individualised Learner Record (ILR) and interpret the ILR guidance differently, resulting in inconsistent and sometimes inappropriate reporting. For several years thereafter, Ofsted used government software to analyse the credibility of ILR data prior to inspections. The conference also exhumed the controversy around the chief inspector’s thoughts on arts courses, which caused a national media furore. At the Sixth Form Colleges Association conference, she clarified her remarks: “I gave an example, which was widely misinterpreted, that arts education is a bad thing.